Thomas was born on 13 September 1821 at Woodfield Farm, Southall, nr Todmorden, to parents Edmund Newell and Mary Ratcliffe. 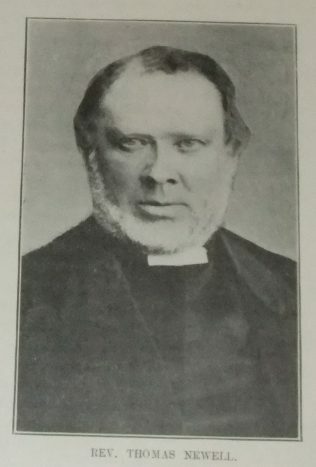 He was baptised on 2 October 1821 at Christ Church, Todmorden. Edmund is recorded as a farmer in the parish record. Thomas was sent to work as a child becoming a quarryman and builder’s attendant. He attended a secular Sunday School and in his youth and early manhood attended night school. On 25 October 1835, Thomas was persuaded by a Wesleyan local preacher to give himself to God. At about that time the Knowlwood circuit began to hold services in a cottage in Southall. Thomas and his mother attended. Later they went to Knowlwood chapel. 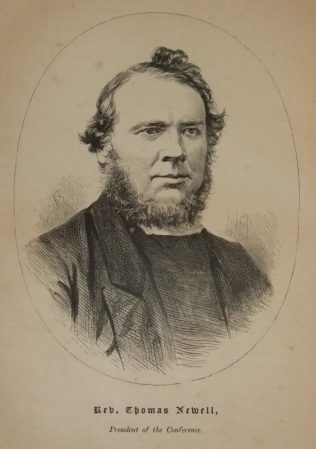 Thomas became a local preacher in 1838 and spent seven years on the plan before accepting an invitation to become itinerant. Thomas was President of Conference in 1879 and in 1887 started a period of 5 years as Connexional Editor. His obituary records that Thomas was an effective speaker both on the platform and in the pulpit. But it was in the pulpit he was seen at his best. His preaching was intensely evangelical both in doctrine and in spirit. His sermons were carefully thought out, arranged and phrased, and were delivered with fervour and unction. Thomas married Jane Hollingdrake (b abt 1825) in the summer of 1849 at Bradford, Yorkshire. (She died before the 1861 census.) Census returns identify three children. Thomas married Agnes Garrett (1846-1927) in the summer of 1886 at Keighley, Yorkshire. 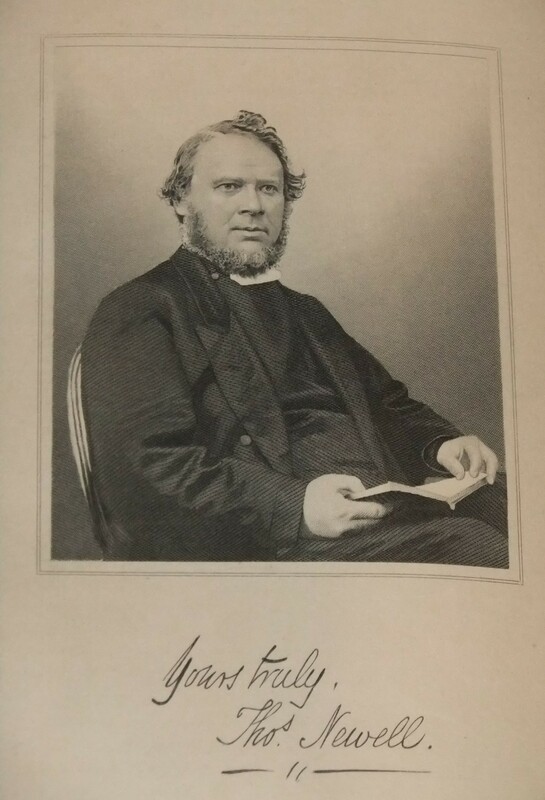 Thomas died on 24 May 1906 at Silsden, Yorkshire. Transcription of an Appreciation published in the Primitive Methodist Magazine 1907. Thomas’s birthplace was Sourhall (not Southall, which appears twice on this page). There are three farms containing the name ‘Woodfield’ in Sourhall: Lower Woodfield, Higher Woodfield and Woodfield Top. My father (Frank Wilkinson) and his parents (Fred and Julettah W.) lived at Higher Woodfield Farm. Julettah died there in December 1924, aged 38.